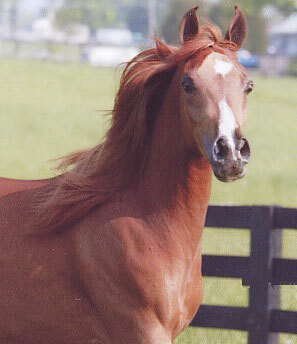 Gypsy is leased by Mr. John Johnson in Texas to test breed his young stallion, Shalako JRA by Mishaal. 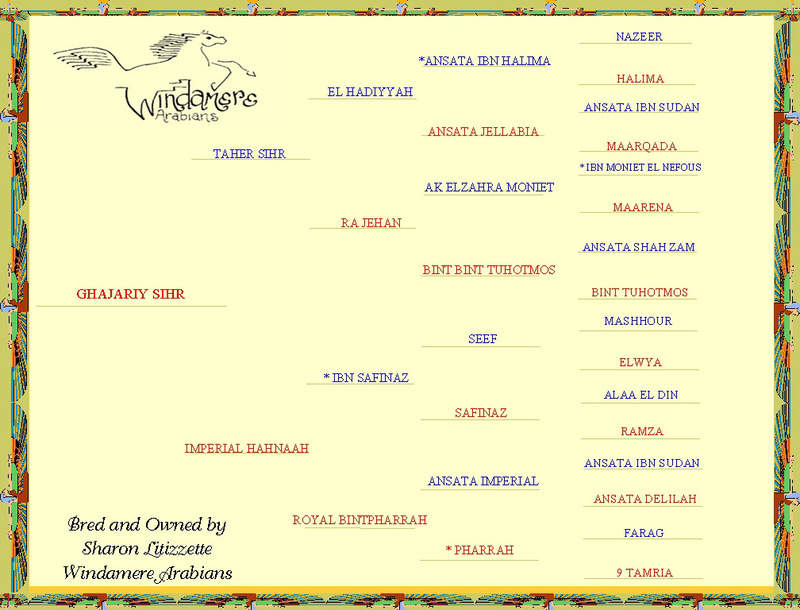 Arabian Breeding Mares 2 and over 2nd place. Arabian Mare Championship Reserve Champion. 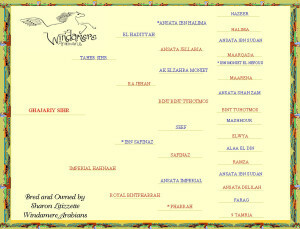 Windamere Arabians proudly announces that our lovely, classic filly, Ghajariy Sihr, placed in the Top Ten at the United States Egyptian Event in Lexington KY. Gypsy is a glowing, copper chestnut, two year old filly. 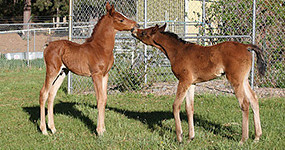 We take special pride in this win as Gypsy is a second generation Windamere horse. She is sired by our home bred stallion Taher Sihr and out of the wonderful Imperial Hahnaah. With her Pharrah tail female, it is easy to understand where her beauty comes from. In early August 2004, Gypsy added another win to her resume. She was second in two year old fillies at the East Coast Championship show.